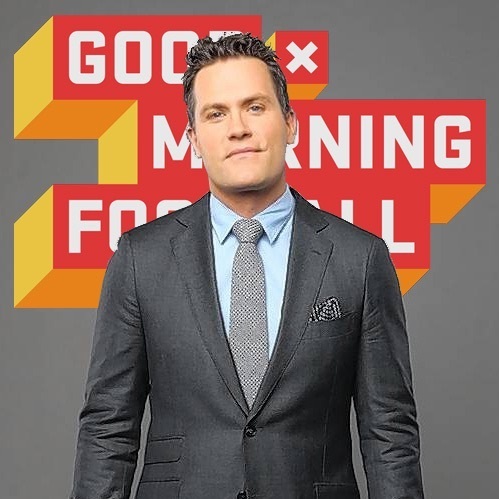 One of my favorite podcasts to date and it’s with a friend of mine, Kyle Brandt, currently a co-host of NFL Networks “Good Morning Football” and former cast mate on “Real World: Chicago.” A lot of other jobs mixed in there too which we discuss, but honestly, every once in a while, I need a break from Bachelor Nation contestants. Hell, I think 14 of the last 15 podcasts I’ve done have been with a former contestant, and while that’s what butters my bread, sometimes you gotta branch out. Kyle has such an interesting story because it’s one you hear a lot from people who move to LA to pursue acting. Got rejected way more than accepted, caught some breaks, and now has turned it into a pretty nice career. Couldn’t be happier for the guy because he’s one of the good ones in the industry. So much fun talking “Bachelor,” football, pop culture, Kyle can do it all. As always, if you want to respond to the interview, please include Kyle’s Twitter handle in your replies (@KyleBrandt, in your replies. You may not follow football, but if you’re just a fan of TV/reality in general, I think it’s impossible not to like Kyle’s story. Hope you all enjoy and have a great Thanksgiving weekend. (SPOILERS) Kyle joins me to talk about how he went from playing football at Princeton to getting cast on “Real World: Chicago,” how 9/11 played out for them during filming (9:50), going from “RW: Chicago” to moving to LA so he could become an actor and landing a soap opera gig (14:50), dealing with soap opera fans (21:06), “Bachelor” contestants trying to stay relevant after the show (26:24), his two favorite “Bachelor” seasons & Jake Pavelka talk (30:08), how he met his wife & she knew nothing about him (35:05), working for Jim Rome (37:12), getting hired at “Good Morning Football” and how quickly it came about (42:17), his new show the “Kyle Brandt Football Experience” (47:16), and we end with some “Karate Kid” talk (56:28).